Backing up your important data can be a very important part of keeping your data safe from disasters such as equipment failure, corruption, RansomWare, viruses, theft and more. 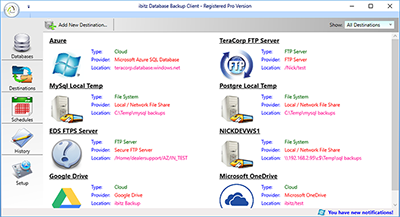 With ibitz Database Backup software, you can ensure that your important data is always backed up and secure! 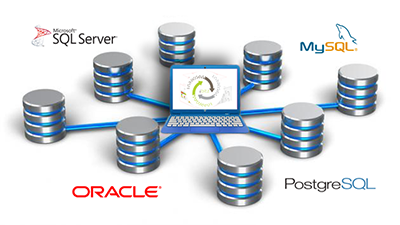 Utilizes the latest in .NET frameworks and database backup technologies. 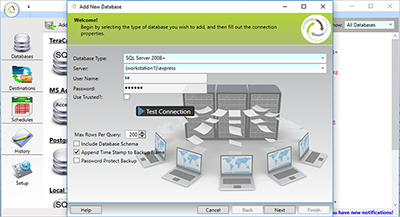 Backup all of your raw data as well as the database schema. 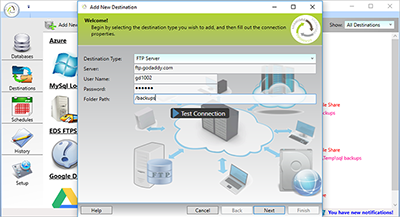 Both client and server can be installed on the same computer or different computers. 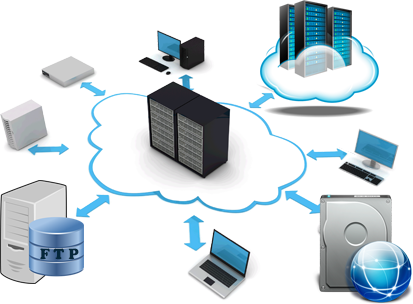 Simple wizards will give you the ability to backup your data quickly. Clean design, clear navigation and images/icons to navigate effectively. 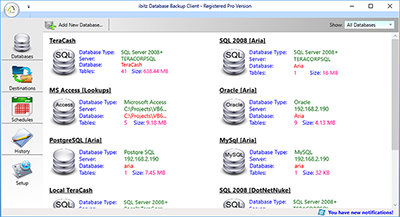 Backup your data from Microsoft SQL Server, Microsoft SQL LocalDB, MySql, PostgreSQL, Oracle, Microsoft Access and SQLite. 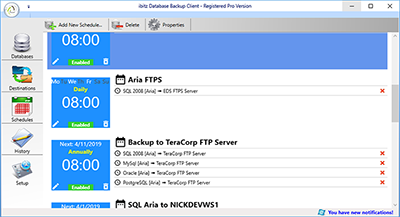 Backup your data to a local folder or file share, an FTP Server, a Secure FTP Server (FTPS), Microsoft Azure, Google Drive, Microsoft OneDrive or Amazon RDS SQL Server. 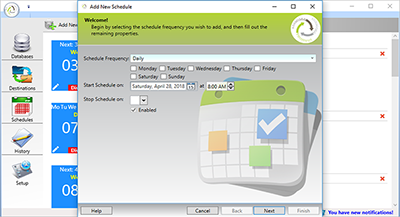 Schedule backups by the hour, day, week, month or year. 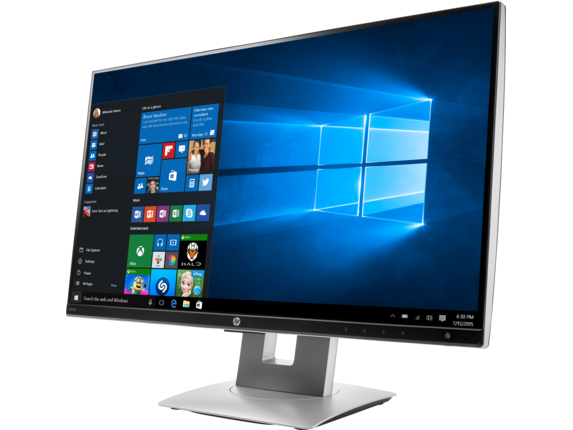 View your backup and schedule history on-screen at any time. 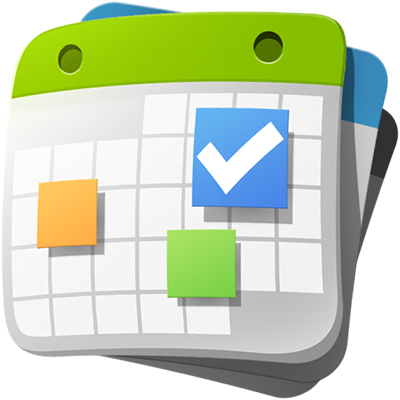 Get notified upon successful or failed backups via the client or an email sent to one or more people you choose. 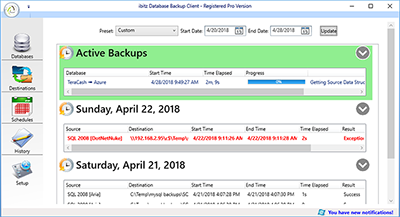 View the status of any active backup in real-time with progress indications as well as estimated times remaining. View a video demonstration on how easy it is to create a backup, destination and schedule and get your first database backed up in in less than a minute! ibitz is priced per server license. You can install as many clients as you'd like - only the server must be registered.